From our walk to school in the morning, to the hot temperatures during their outside activities, I rely on my AcuRite 5-in-1 Weather Station to keep my daughter as comfortable as possible each day. 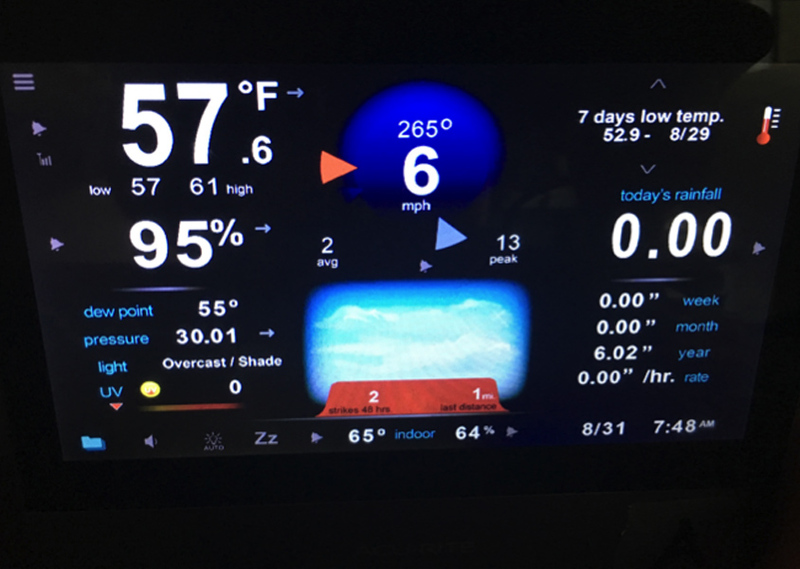 While I’m packing her lunch, I’m checking the temperature readings on my HD display – which is linked to the 5-in-1 weather station in our backyard. I see it’s currently 57 degrees, and she was chilly on our walk yesterday morning when it was 59 degrees. Better grab her sweatshirt or light jacked this time! I check the forecast on My AcuRite and see that Friday, today, was the warmest day of the week, and will be even warmer next week! Thankfully no rain yet, so don’t have to worry about her rainboots or rain jacket. I’ll make sure to dress her in shorts or a dress, but most of this week, she was comfortable in her long pants – since it’s air-conditioned inside and highs stayed below 80 degrees. Some days this week when I picked her up at 5pm, her cheeks were rosy and she felt warm, but she seemed comfortable and was having fun so was probably okay! I look back at my history data in My AcuRite to see what the temperature was at 5pm yesterday…looks like that’s when it reached 73 degrees, the high for the day. Now I know that she got a bit warm on a day with a high of 73, I’ll plan to keep extra shorts and t-shirts in her cubby if she needs them – or more likely if teacher thinks she needs them! You Can Rock Back to School, Too! It’s really helpful having the 5-in-1 weather data in our backyard. We’re about 1 mile from her school, so the temperature is a pretty good representative of the conditions she experiences during the day. AcuRite weather products can help you too dress your kids appropriately during the school year. 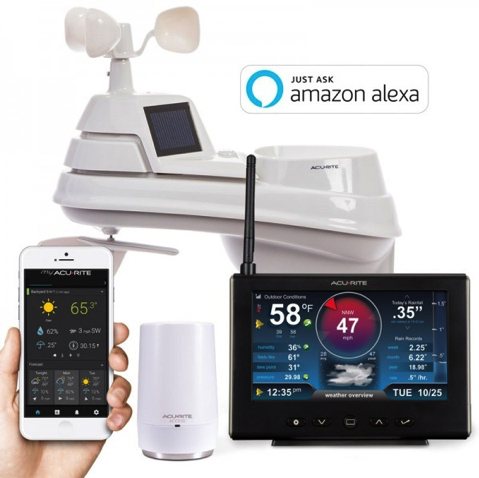 We recommend getting started with a PRO+ 5-in-1 Weather Station to monitor the weather conditions in and around your home, plus – AcuRite Access for easy and convenient remote monitoring.